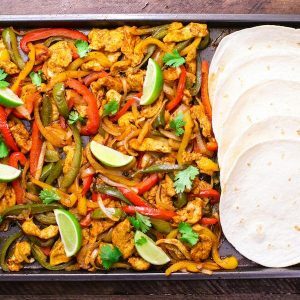 These Baked Chicken Fajitas have been re-pinned more than 500,000 times on Pinterest (true love, seriously!)! 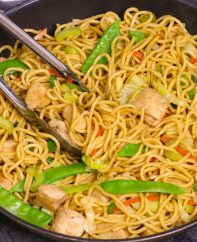 They’re quite simply one of my favorite weeknight chicken dinner recipes along with Teriyaki Chicken, Crock Pot Honey Garlic Chicken, Chicken Pad Thai, General Tso’s Chicken, Baked Chicken Breasts with Potatoes and Green Beans and Lemon Chicken. Baking the chicken and vegetables produces a charred edge and special sweetness that you won’t get in a skillet. I have made Baked Shrimp Fajitas and Steak Fajitas Foil Packets. You simply add the ingredients to the sheet pan, season and throw it in the oven. Clean-up is a breeze too! Chicken fajitas are a variation on the original fajitas invented in Texas, where flank steak was marinated and grilled over an open fire. Today, most recipes use a skillet, oven or even slow cookers. 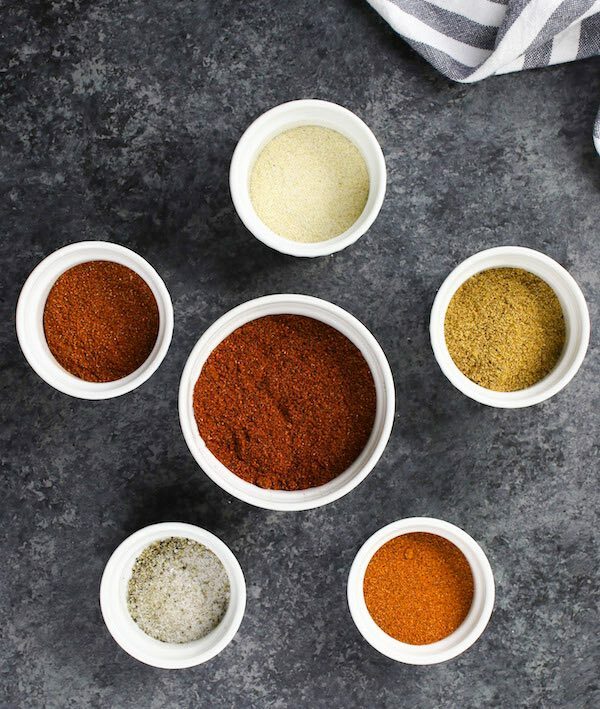 Homemade fajita seasoning tastes much better than store-bought mixes and is easy to make with a few simple ingredients: cumin powder, chili powder, paprika, cayenne, garlic powder, salt and pepper. It also keeps well for up to six months if stored in an airtight container like a mason jar. 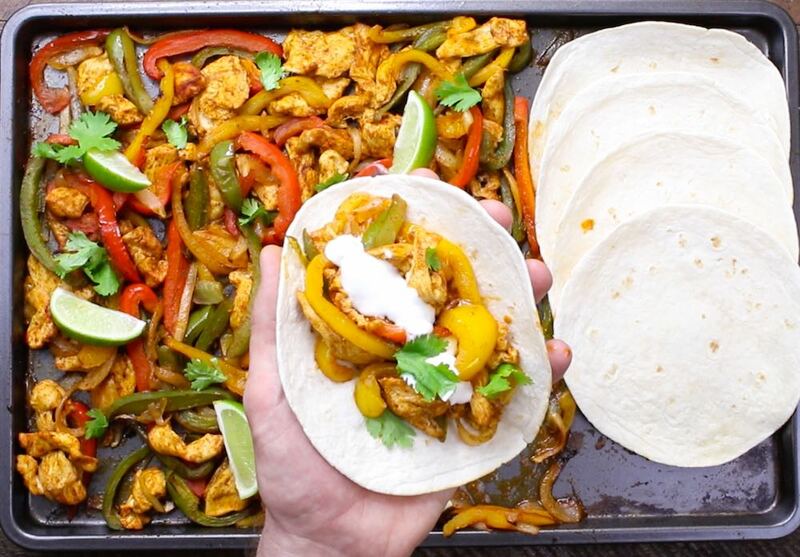 This Chicken Fajitas recipe is the baked chicken version of Chicken Fajitas Stir Fry. 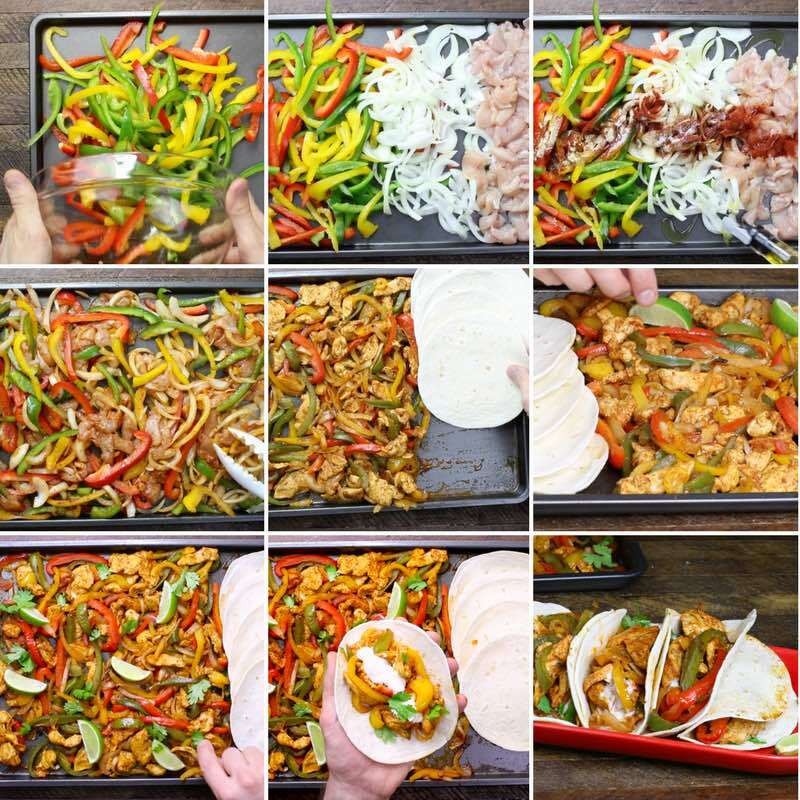 To make these fajitas, you’ll need a large baking sheet (mine is 13-inch x 18-inch). Instead of cooking in batches over a cast iron pan, you simply put everything onto a sheet pan in the oven and bake for 20 minutes! So easy! Start by slicing chicken breasts into 1/4-1/2 inch strips, and then do the same for the onions and bell peppers. Secrets for Cutting Chicken into Thin Strips: Freeze the chicken for about 30 minutes before cutting it. This will firm up the chicken so that it’s much easier to slice. Cut it against the grain. Place the sliced bell peppers, onions and chicken strips onto the sheet pan and spread them out. Sprinkle the spices evenly and drizzle oil over. Then toss everything to coat evenly. You can use tongs to distribute the spices within the pan. You can also use two spoons or your fingers, just be sure to wash with hot soapy water afterward. Keep the chicken in a single layer and avoid overlap. Bake uncovered in a preheated oven at 400°F for 15 minutes (you will need to bake again later). Remove the pan from the oven and stir the chicken and vegetables. Note: Before baking, it may seem like a lot of vegetables compared to chicken. This chicken to vegetable ratio is right since the vegetables shrink a lot as they bake. Right after you toss your chicken and vegetables, slide the mixture over to make space for the tortillas. Mop up excess juices with paper towels to prevent the tortillas from becoming soggy. Then add the tortillas and return the sheet pan to the oven for 5 more minutes. Note: Make sure not to over-bake the chicken, otherwise it might become dry. You can also wrap your tortillas in foil to prevent the juice from getting into the tortillas. Alternatively, you can heat up your tortillas in a skillet or microwave. Remove the pan from the oven. Your chicken should be tender and moist and the vegetables will be soft with brown on the edges. Squeeze the juice from a fresh lemon over the dish. 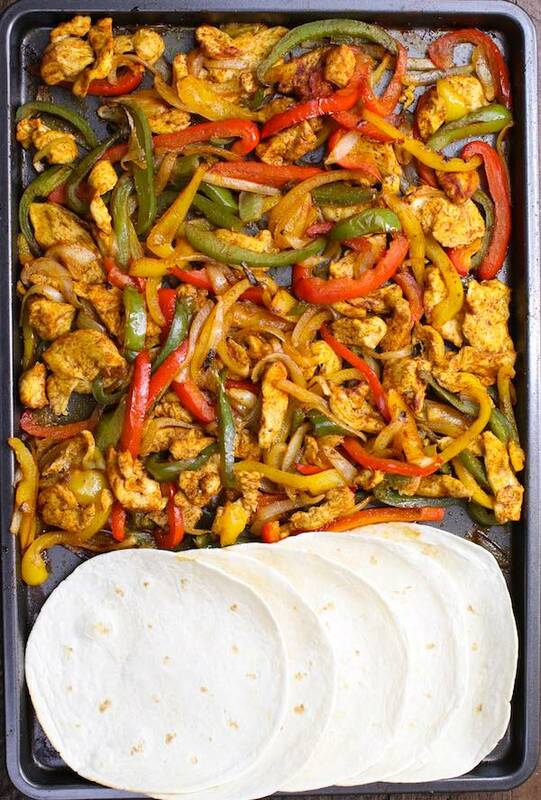 Take a warm flour tortilla, scoop the desired amount of chicken fajita mixture into the center of each tortilla. 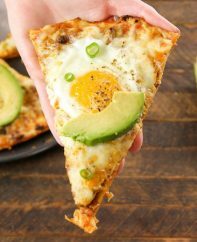 (optional) Add hot sauce or avocado slices if desired. Serve it on lettuce with avocado for a low-carb meal. 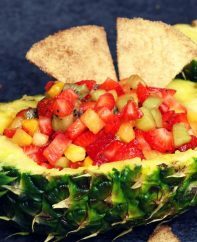 You can also serve them with quinoa or whole wheat tortillas instead of regular tortillas. Other topping options include cooked corn, black beans, low-fat sour cream, salsa, shredded cheese and Greek yogurt. Cut your chicken against the grain into less than ½ inch strips. Freezing for 30 minutes before cutting makes it easier to slice. Consider marinate the chicken and vegetables for extra flavor if you have time. After mixing the chicken and vegetables with the seasoning, try to arrange the mixture in one single layer in the sheet pan. Use the largest sheet pan you have at home to avoid piling the chicken and vegetables too deep. When you add the tortillas to the sheet pan, make sure to mop up excess juices with paper towels to prevent the tortillas from being soggy. You can slice the chicken and cut vegetables, then mix them with fajita seasoning the night before. Cover and place it in the refrigerator for up to 24 hours. This extra marinating process actually will make your dish even more flavorful! The next day, you can just add oil to the mixture and bake it on the sheet pan! This uncooked fajita chicken mixture can also be stored in the freezer if you prefer. You will need to add oil to the mixture and store in several Ziploc bags. Make sure to flatten them in the bags so that they freeze in a thin layer. To cook frozen chicken fajita mixture, you don’t need to thaw it, and just add 10 more minutes to the regular cooking time. Just be aware that when it’s baked, you will have more juice coming from the mixture than the freshly baked one. Store your leftover baked chicken fajitas in an airtight container in your fridge. It can last for up to 4 days. 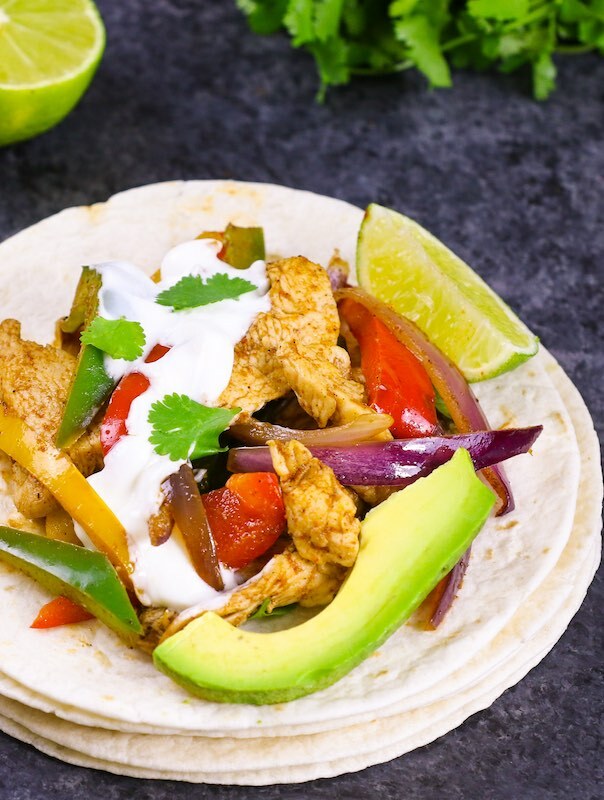 These chicken fajitas are perfect for meal prep as well. You can find more information on how long does cooked chicken last in the fridge. Subscribe to our YouTube channel for more video tutorials! Preheat oven to 400°F. Set aside a large baking sheet. On a work surface, cut chicken breasts, onions and peppers into less than 1/2 inch strips. Place chicken, peppers, onions and peppers on the baking sheet. Sprinkle cumin, chili powder, garlic, paprika, salt and pepper on top and drizzle with oil. Using tongs or two spoons, toss all ingredients on the pan to coat evenly. Remove from oven, and use tongs stir chicken and vegetables. Then slide them one-quarter of the way over, to make space for tortillas. Mop up excess juices with a paper towel, and then add the tortillas to the pan. Return to the oven and bake for 5 more minutes. Remove from oven and squeeze optional fresh lime on top. Serve in tortillas with optional cilantro, sour cream and avocado. Enjoy! If you use fajita seasoning instead of individual spices, use 1 1/2 tablespoons of fajita seasoning (6 teaspoons) or adjust to your preference. Editor Note: Originally published May 1, 2017 and updated February 26, 2018. Easy one pan meal that pleased everyone and could easily be added to burrito stuff like beans and rice as well. Thanks Jenn glad you liked it! Very easy meal, we really enjoyed this. Will make a again. I did’nt put my shell in with it. Next time well try it thst away also making beans and mexican rice to go along. Thank you for sharing. I should have watched video first. Your ingredients don’t list chili powder but your video does. Hi Melisa, So sorry about that – we’ve added the chili powder to the list to be consistent with the video. This looks awesome! I was wondering though, could this be prepared ahead of time and then reheated in the oven? I don’t have a microwave but would like to make this in advance. Thanks! I LOVE Mexican food and I LOVE these fajitas. I started making this last year and has become one of the regulars in our household. My husband and I both really enjoy it. Everything is so easy and delicious. I made this last night with store bought frozen peppers and onions that I always have in my freezer. I thawed the bag in the microwave, but I am not sure that was necessary. I had to dump a lot of liquid after cooking, but it was still good My whole family enjoyed the meal and we added a little cheese to the fajitas. Made this tonight for dinner. Everything turned out great except leaving the tortillas in the oven for 5minutes was too long. Maybe I will keep a closer watch on them the next time. My new favorite way to do fajitas! Can this be made ahead of time, like a day before and just reheated? Or even frozen and then thawed? I gave the recipe a 3; my fiance gave the recipe a 5, thus the 4 rating. Made this last night. Great flavor! How spicy is this dish in terms of heat my daughter is anti heat should I leave the chili powder out? Calories. Is that per serving or for all 6? I plan to make it this week but my husband and I are counting calories so that is why I am asking 🙂 Thank You! Hi Jenn, Thanks for asking. It’s 320 calories per serving, which is quite light for a main course. Hope you make it! Does the serving include the fajita? Does it include the tortillas as well? How would you recommend reheating in the oven? Love this and so do my kids and husband!!! It’s a keeper! Thanks Kelly, so glad to hear that! Once this is cooked, can leftovers be frozen? I’d like to try this! I made the fajita seasoning you recommended in a mason jar. But now how much of it should I use in this recipe? I love the ease of this recipe, but it was a little bland to us. What could we add to amp up the flavor without amping up the heat? We followed the instructions exactly. Hi! I love this recipe and have been using it for a while. Can I substitute olive oil instead of vegetable oil? Thanks! Hi Jouline, Thanks and so glad to hear that 🙂 🙂 Olive oil works perfectly fine, so feel free. Enjoy! Hi! Going to make this recipe this week. What do you think about Portobello mushrooms on half, to make it entirely vegetarian? Hi there, Awesome – as for the mushrooms, I think it could work 🙂 Let me know how it turns out!